(ten sen)in the body to help release this energy, restoring health, harmony and balance in the whole system. TYM treats ailments such as headache, knee pain, back, shoulder and neck pain, premenstrual tension and others. It is especially effective for numbness or loss of feeling in conditions such as Multiple Sclerosis or after a stroke. In TYM the receiver is fully clothed, it is best to wear loose clothing eg. tracksuit bottoms and t-shirt. You will be lying down on a massage bed on the floor. Each person is different as will each massage be. After an initial consultation, you will have a massage tailored to YOUR needs. After a massage you may feel greater flexibility in the joints, enhanced blood circulation, better alignment of the body, improved posture and additional stimulation of the internal organs, which helps them to function optimally. TYM also induces a feeling of relaxation and tranquillity in body and mind. Contrary to popular belief you do not need to be flexible to receive a massage. Each treatment is designed to suit the individual’s needs. 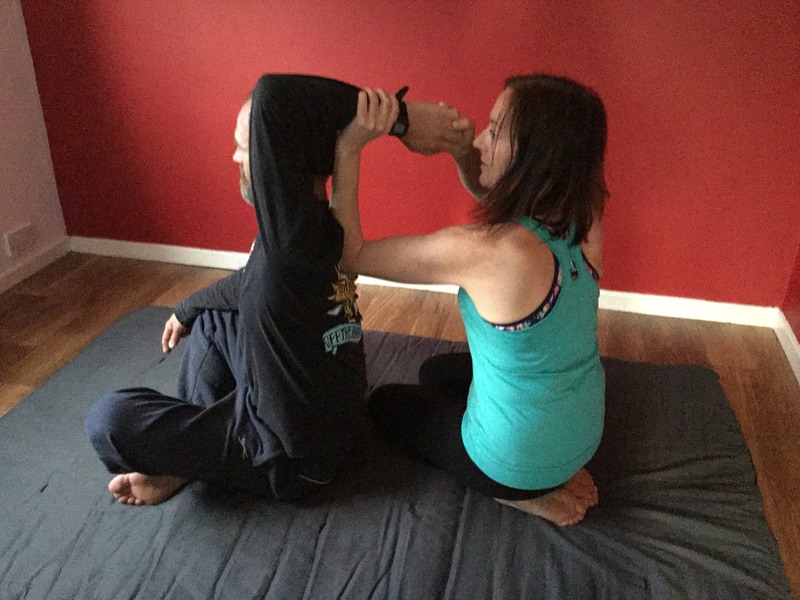 As the basic principle is to balance the energy body with palming and thumbing techniques, this form of body work can be done on anyone: young, old, healthy or unwell!